Milk allergy is a natural form of response from the immune system to milk and other products that contain milk in it. This abnormal body reaction is a type of food allergy that is most experienced by children around the world, especially when they start consuming cow's milk drinks. In addition to cow's milk, milk derived from goats, sheep, and other mammals can also cause milk allergic reactions. Allergic reactions usually appear several minutes to several hours after the allergen substance (milk) is consumed. These allergic reactions can include vomiting, wheezing (wheezing), itchy rashes, and indigestion. Milk allergy is different from lactose intolerance and milk protein intolerance. Intolerance or the inability of the body to accept a substance not related to the immune system and have symptoms and treatment that are different from milk allergies. 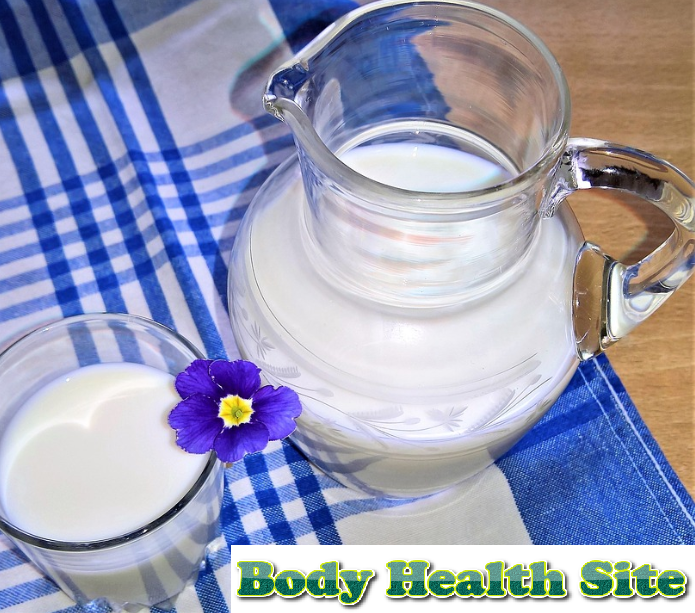 Milk allergy is a type of food allergy caused by a disruption in the immune system of patients who consider content in protein, in this case, milk, as a dangerous substance. This warning then triggers the immune system to produce immunoglobulin E antibodies to neutralize these allergens. This process results in the release of histamine and other chemicals in your body, then causes the appearance of certain milk allergy symptoms. The two main ingredients in milk proteins that are the cause of milk allergy are casein and whey. Casein is found in the dense part of milk, also known as curd. Whey is found in the part of liquid milk that remains even when milk thickens. These two proteins may be difficult to avoid because they are also found in other dairy processed foods. Milk allergy sufferers also tend to have allergies to milk from other breastfeeding animals, but do not always have allergies to soybean milk. Allergies in other foods that usually begin to develop after milk allergy appears. An allergic history in the family, such as hay fever or rhinitis, asthma, and eczema. Children more commonly suffer from allergic reactions which usually improve after the digestive system develops as children grow older. Children with atopic dermatitis, namely chronic skin inflammation. Milk allergic reactions vary for each person, but generally appear one hour after the patient drinks milk. Here are other symptoms of milk allergy that require the sufferer to take longer. In addition to the vomiting and other allergic reactions mentioned above, milk allergy can also cause a more serious reaction, namely anaphylaxis. Anaphylaxis means a severe allergic reaction and can cause the death of the sufferer. Milk is the third food after tree nuts and beans (cashews, hazelnuts, etc.) that can cause anaphylactic reactions. It is very important to immediately see or tell your doctor if you or your child has a food allergic reaction even though the reaction is mild. The doctor will conduct a series of tests to confirm the diagnosis of this condition and determine the appropriate preventive and treatment steps. People with milk allergy are advised to stop taking antihistamine drugs for the next 5-7 days before carrying out an examination by a doctor. Ask this and other preparations needed when scheduling meetings to facilitate the diagnosis process. At the initial examination, the doctor may ask about symptoms that are felt and whether the patient has a diary containing a list of foods that have been consumed. The doctor will also ask if the patient has tried to remove milk from the choice or diet of the food he consumed, then add it again to see the reaction produced by the body. Blood test to measure the amount of immunoglobulin E antibodies produced by the body. Skin test. In this test, the doctor will make a small puncture on the surface of the patient's skin. Then, a small amount of milk protein will be placed in the area of the skin. A small itchy lump will appear on the area of the skin exposed to milk protein if the patient has a true milk allergy. Either a blood test or a skin test, even if done by an allergist, does not always provide accurate results so the doctor can recommend other tests involving the mouth or eating challenges. Patients are asked to consume several food choices to see if there is an allergic reaction. The number of allergens, in this case, is milk protein, will be gradually increased to ensure an allergic reaction to milk. But if it turns out that the symptoms are caused by another condition other than food allergies, the doctor can ask the patient to carry out additional investigations to rule out other health problems. Milk allergy generally disappears as the child ages, but there are also those who continue to have allergies until they are adults. Avoiding allergens (source of allergies) is the best treatment for allergies, in this case, milk or milk protein. This is sometimes difficult because milk is a food that is widely used to process other foods, such as baked goods and yogurt. Ask your doctor, what foods should be avoided because some milk allergy owners can still consume certain types of milk such as yogurt safely. Whereas in the case of drugs, antihistamines are drugs that can be used to relieve symptoms of allergic reactions and reduce discomfort. But a more serious allergic reaction, anaphylaxis, must get an injection of adrenaline (epinephrine) immediately. Patients should also be taken to the hospital just in case of a subsequent reaction. Patients will then be given medication, epinephrine syringes, and procedures for injections if at any time the attack recurs. You can take and use antihistamines and injections of epinephrine together just in case. Keep in mind that antihistamines are not substitutes for epinephrine injections, but rather as additional drugs if an anaphylactic reaction occurs. Casein, calcium casein, casein hydrolysate, magnesium casein, potassium casein, and sodium casein. Use an identity bracelet that shows that you are a special health condition, or a food allergy owner to inform others in the event of a medical emergency. For nursing mothers, giving breast milk for the first 4-6 months, in addition to being the best source of nutrition, is thought to help prevent a milk allergy in infants. But if your baby is proven to have a milk allergy, then you should get rid of the product with milk content in your daily food choices so that the milk substance does not enter through breast milk to the child. In children who are more mature and have milk allergies, a combination of breast milk and hypoallergenic formula can prevent allergic reactions. See a doctor immediately if you suspect the child has an allergic reaction after he has breastfed. Certain hypoallergenic formula milk is not milk based but is an amino acid so it does not cause allergic reactions. Consult your doctor about this product before using it as substitute milk. Another alternative is to use soy protein-based milk and rice milk (rice milk), but it should be noted also about its use because some children who have milk allergies also have a soy allergy. Doctors can also help milk allergy sufferers to have choices or diet foods that are rich in nutrients and balanced for the body. You may need to take vitamins and supplements to replace the nutrients contained in milk, such as vitamin D and riboflavin. 0 Response to "Milk Allergy"